Are daily affirmations apart of your families routine? For a long time, they were not apart of ours. It all started with homework. I'm not sure the exact moment it happened but one day I began noticing my daughter becoming less confident in her school work. Whenever we would go over homework she would either not answer at all or whisper the answer. This was extremely confusing to me. She doesn't really struggle academically and if there is something she doesn't know she catches on pretty quickly. No to mention just about all the answers she would whisper would be correct answers. After many talks and me telling her how smart and capable she was it was clear that she needed to rebuild confidence in herself. This is where our morning routine of daily affirmations was born. We could all use a boost of self-love before starting our day. As parents it's important for our children to hear from us how special they are, how loved they are, how smart they are and how much we support them but it is equally important for our children to create this within themselves. I believe it builds confidence, self-love, and acceptance. Children's brains are developing and learning behaviors and habits so by starting them off young their brains are wiring this positive self-belief system. Affirmations can be a powerful thing. Our parents can tell us how exceptional we are all day but we need to believe this for ourselves in order to build real confidence and self-love. 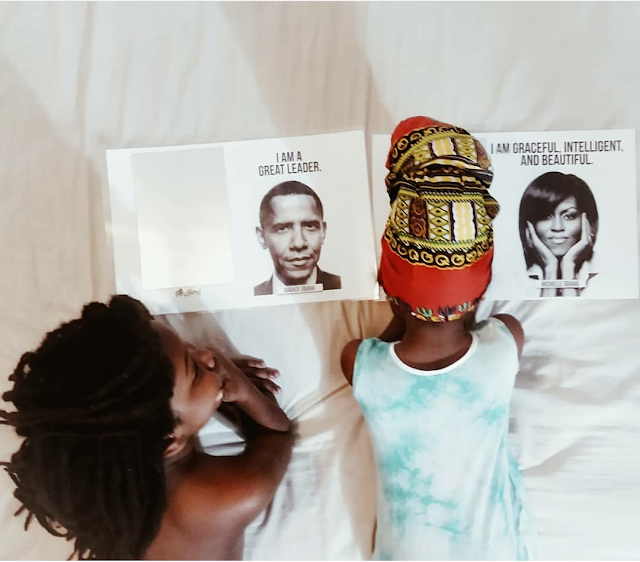 Raising little black children in today's world it is even more important for them to know themselves, who they are and what they stand for. For them to be confident in themselves no matter what others may think of them. 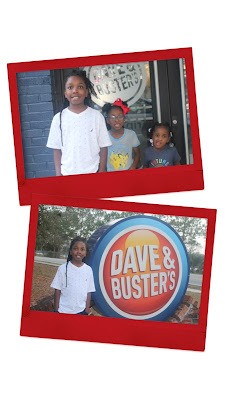 I don't want my son to feel like he has to cut his hair to be successful, or my daughters to think they can't speak up for themselves without becoming a negative stereotype. Not to mention they are being raised in this social media era were followers and likes are often misinterpreted as love and success. I don't want my littles to grow up needing that type of validation from anyone, not even me. 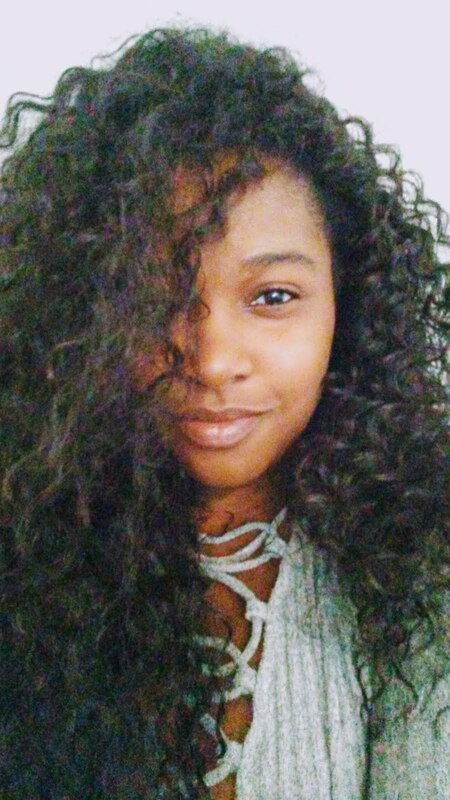 Thanks to a few black own companies like Soulseed LLC and We Are Karasi you can have amazing affirmations at your figure tips. We love our mommy and me affirmation cards from Karasi. They were created by visual artist and doula Angelica Marie, who is all about empowering and uplifting womxn of color. When I met Akim at a local event I was extremely excited to learn all about her brand Soulseed LLC, which is all about promoting black excellence by any means necessary. Raising a little black boy I was drawn to the fact that she provided affirmations for little kings as well. 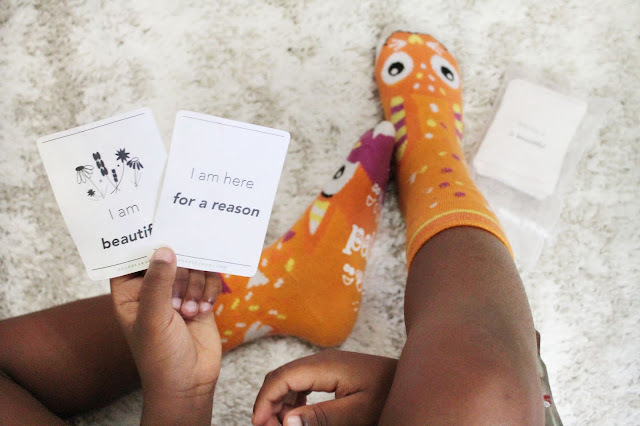 With her creatively designed created cards, your littles get to actually look at their reflections while repeating their affirmations, dope right? I can honestly say since adding positive affirmations to our daily routine I have seen a boost of confidence in all of the children. I pray that as they get older they continue with their daily affirmations and truly believe deep within themselves that they are MAGIC! do you think positive affirmations for children are important? Positive affirmations are so important for kids' development and self-esteem. There's so much negativity out there in the world that they need all the positivity we have to offer!